What does tensor fascia latae mean? The muscle name describes what the muscle does and where it’s located. The word “tensor” comes from the Latin word “tendere” which means “to tense”. “Fascia” comes from the Latin word for “band”. “Latae” comes from the Latin word “lata” which means “side or lateral”. You could combine those three words to get a muscle that tenses a band on the side. Tensor fasciae latae is often shortened to the TFL. What does iliotibial band mean? The first part of the word, “ilio”, refers to the ilium, the large flat bone of the pelvis. The second part of the word, “tibial” refers to the larger of the two lower leg bones, the tibia. Band refers to the fact that the iliotibial band is a narrow tendinous strip. Iliotibial band is often shortened to IT band. Where does the tensor fascia latae muscle attach? The tensor fasciae latae originates just behind (posterior) or to the outside of the Anterior Superior Iliac Spine or ASIS. Tensor fascia latae inserts on the iliotibial band. 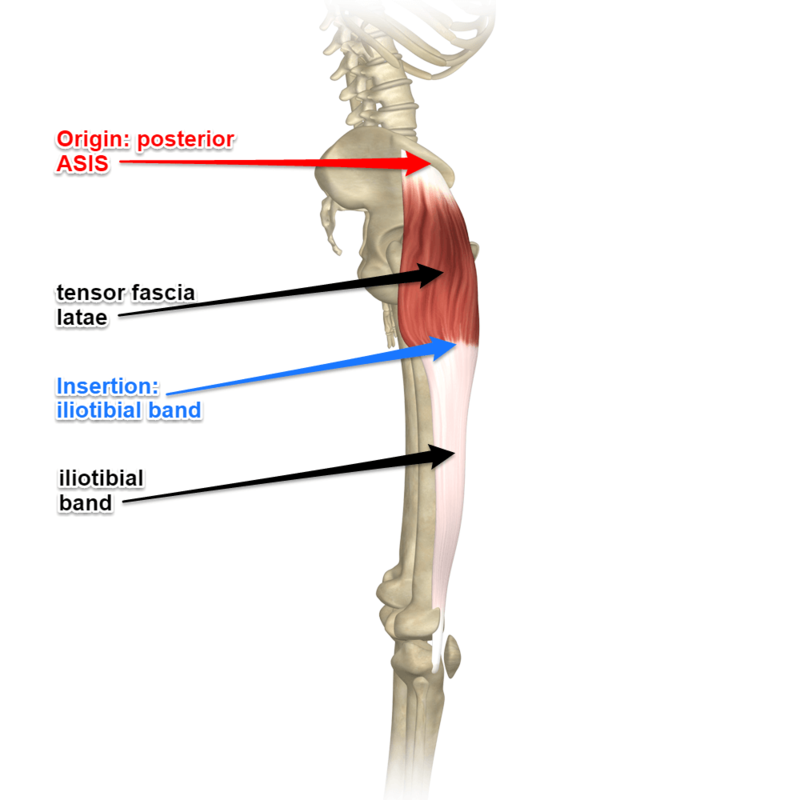 Tensor fascia latae is one of two muscles that insert onto the iliotibial band. The other muscle that inserts onto the iliotibial band is the gluteus maximus. Where does the iliotibial band attach? The iliotibial band is really a continuation of the tissue of the tensor fascia latae that originates on the ilium and becomes a tendinous band. The iliotibial band inserts on the lateral condyle of the tibia. 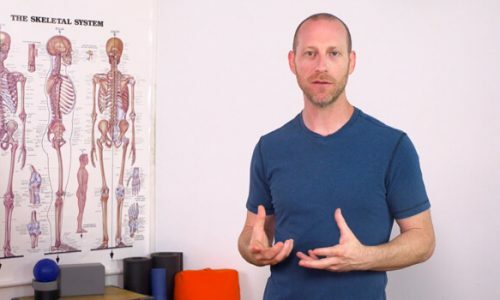 What actions does the tensor fascia latae do? The tensor fascia latae can medially rotate and abduct the femur at the hip joint. Additionally, it assists in flexion and stabilizes the knee when it is extended as well as when we walk and run. What actions does the iliotibial band do? The iliotibial band acts to stabilize the knee, especially in walking and running. 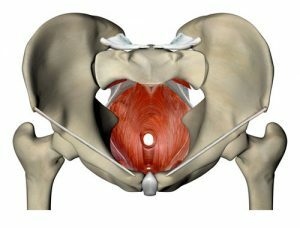 We usually feel this muscle when we are flexing the hip joint and medially rotating at the same time. Navasana is an example of one of these places. 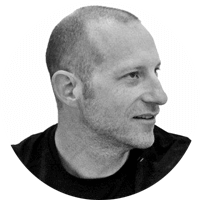 Lengthening the tensor fascia latae is not so easy. We need to extend, adduct and externally rotate. It’s unlikely that we would we ever do all of those things at the same time. We might be able to lengthen sections of it however. Supta virasana might lengthen it a bit as we extend the hip joint, especially if we lift the hips slightly. Folding forward in baddha konasana would also lengthen some of the tensor fascia latae. What about contracting or lengthening the iliotibial band in yoga? The tension in the iliotibial band is really a function of the tension in the muscles that it originates from, the tensor fascia latae and the gluteus maximus. We wouldn’t likely have the intention of contracting or lengthening the iliotibial band itself in yoga, but if we’re aware of tension there, we could have the intention of lengthening either or both of the tensor fascia latae and the gluteus maximus to release some tension in the iliotibial band.